Today in Masonic History Thomas Todd is born in 1765. Thomas Todd was an American jurist and United States Supreme Court Justice. Todd was born on January 23rd, 1765 in Kings and Queens County, Virginia. Both of his parents passed away when he was young. At the age of 16 he served in the American Revolution for six months before returning home. He attended Liberty Hall Academy (now Washington and Lee University) in Lexington, Virginia. He graduated from the school in 1783. After graduation he became a tutor at the school in exchange for room and board as well as instruction in the law. Also in 1783, when Todd's cousin was appointed to the Kentucky district of the Virgina Supreme Court, Todd read law to gain admission to the Kentucky Bar in 1786. Todd served in five constitutional conventions between 1784 and 1792 while Kentucky was seeking statehood. In 1792, after Kentucky had been admitted to the Union, Todd served as secretary of the Kentucky State Legislature. Prior to the admission of Kentucky into the Union, starting in 1789, the Kentucky Court of Appeals was created and Todd became it's chief clerk. In 1801, Todd was appointed Justice of the Kentucky Court of Appeals. In 1806 he was named the courts Chief Justice. 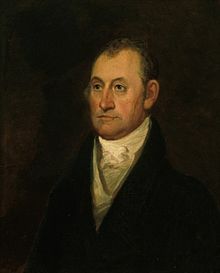 In 1807, Todd was appointed to the United States Supreme Court by President Thomas Jefferson. His appointment was made on February 28th and his confirmation was completed by Congress by March 2nd. Jefferson was able to appoint him to the Supreme Court because of a change in the number of seats on the court which was enacted by Congress. They increased the number of Justices on the court to seven. Todd served with Chief Justice John Marshall. The two were politically polar opposites. Despite this fact, Todd learned a great deal from Marshall when it came to aspects of interpreting the law. Todd only dissented from Marshall once while they served on the court together. A book titled The Most Insignificant Justice: Further Evidence labels Todd as the "the most insignificant Supreme Court Justice." This was probably due to the relatively low number of opinions that he wrote and the fact that he did not write a single Constitutional opinion. Todd passed away on February 7th, 1826. It is not 100% clear what Todd's masonic affiliation is. Some documents indicate that Todd was a member of Lexington Lodge No. 25 in Lexington, Kentucky. Returns for the lodge dated 1794, show Thomas Todd as the Junior Warden of Lexington Lodge No. 25. Records for that lodge prior to the 1794 return have been lost or destroyed.